I would round the front corners, more like PC Engine controller. Would be neat if it used a Sega Saturn model 2 like d-pad. Those are the best. Finally! A real Coleco controller !!! I had (and sold ) Mousetrap and Wargames with overlays. I presume they are in the set you're wanting to produce ? You have my attention !!!! Thank you! Yes, we hope to produce a full set of overlays for most classic ColecoVision games. Some can mimic their arcade control panel overlays counterparts. That controller looks great. Do you know if the joystick is removable like the master system was on a few models? 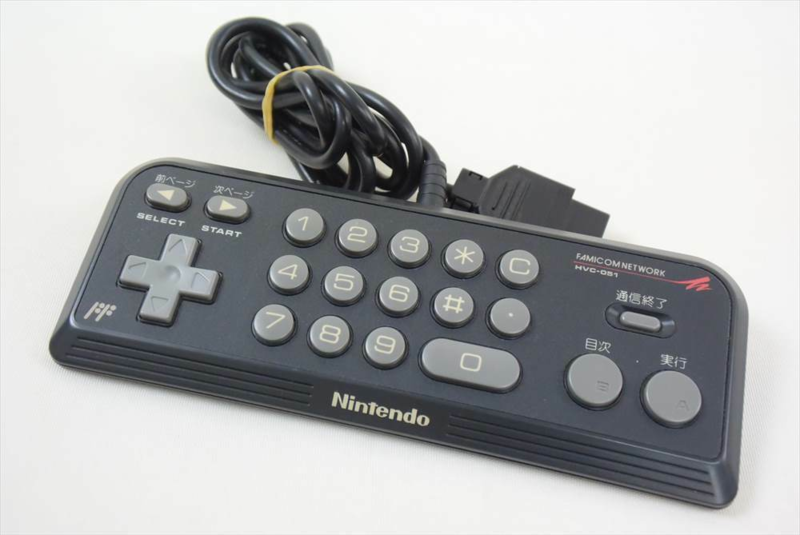 Someone had asked if it can work with 7800, Sega Master and other 9 pin systems.. if so I think you might have a great universal controller that many people would love to get for their units. I would love a stick that can act as a 2nd button for C64 and Amiga games that use it. The 7800 has support for 2 buttons and the original ones for that system are awful. I love the idea of overlays on this, I can imagine they are really going to pop, especially since you mentioned you are doing a full library of them! The Omni just keeps looking better and better... I cannot wait to get one... but in the mean time I joined the count for the controllers and I know of 2 more people who may join for 2 controller for each one of them as well. Will controller support rapid fire? Unfortunately no because that would require power source, and the CV joystick port has none. Removable joystick isn't something we have planned because I would like to stay away from the Nintendo template for controllers. As extensively documented, the NES controller was an accident, Nintendo wanted an actual joystick, but ended using a modified version of the Donkey Kong Game&Watch controller. While the D-pad made a lot of sense for the clamshell Game&Watch, I always found it an odd choice for consoles. And in addition to that, it is a complete departure of what we had during the Atari era. So let's wait and see how our thumb stick behave in the real world and then we can make the decision. As for support for different consoles, again, let's focus on the CV version first and then we can see what we can do about those other consoles once the CV version is out. But glad to hear you are excited about OMNI. I am too! In fact I was working on some games just a minute ago, and will resume after lunch. While I am enthusiastic for a new controller, I've always had trouble with thumb sticks and prefer a D-Pad or even a knob like Coleco's original controller...just my thoughts on the matter. I suppose it's just something you have to get use to. So let's wait and see how our thumb stick behave in the real world and then we can make the decision. Looking at your image I got the impression that your thumb stick screwed into the middle of the d pad. If not could that be a solution? Yeah, that is something we can surely consider. My suggestion is, let's wait for the samples, so we can hold this thing in our hands and see how it handles and feels. Is it possible that you can create a USB version that can be mapped to an emulator? Anything is possible. If there isn't a usb version you could use a colecovision de-9 to usb adapter which are already available. The design also lends itself to be easily reversed for right handed players. Edited by mr_me, Wed Apr 10, 2019 4:26 AM. Late to this party, but now subbed. Btw, this is serious accusation you making about Ted’s work. And sort of not very nice to say. Can you image if I start posting my thoughts on some of your stuff? I don’t do that, I never comment on your stuff. Do you know why? Because I don’t care. I wish you could just don’t care about me as well. And finally, let’s close any pending deals ASAP. You know what I am talking about right. I've a modified NT controller for CV, and I REALLY like it! I indeed don’t need a “designer” name to sell my stuff, but then Ted created the controller and being a famous designer and all, he gets credit for that. That seems to bother you for some reason. In fact I am not sure what you trying to mean here, that Ted copied something or that there is not Ted Mayer involved. But I can tell he is indeed the designer, the same guy from the Intellivision II and III. And that this is his original design, and that controller matches and follows the design lines of the OMNI. But of course you, a ColecoVision publisher, goes publicly to accuse Ted and me of copying something. Instead talking b***, why don’t you arrange payment for the fees you still owe me. Don’t you pay your suppliers? Did you tell the tooling company you would pay them eventually? People are paying you in advance, pay me. Can we stop with the petty bickering? We had an agreement to make payment when the early access system ships (which you agreed to) and we still plan on doing. Where is J-F? The usual hit and run? And why are you complaining? Does it bother you if someone says something bad about you and your projects publicly? Like saying you don’t need a “designer” to copy stuff? That is serious accusation. I was f**** standing up for Phoenix here in the AA forum just last week. You deserve no support from me. People paid you in advance, pay me. The sooner we finish this the better. UPDATE: We are now at 440 controllers. Thank you again for your support. We had a small delay regarding the final files due to some miscommunication from the Chinese source, but the final files should be here this week. Then we will know the exact production cost and thus the final sale price. Also, soon Grazi will show some cool overlays she has been working on. This might have been asked before, but is there a timeframe for the controllers would be manufactured and available? As soon as possible. I can provide a better estimate in a couple of weeks by email to all in the waiting list. Don’t want to discuss dates here in a public forum. You will soon receive very detailed info about price, availability, picture of the sample, renders of the final controller, etc. 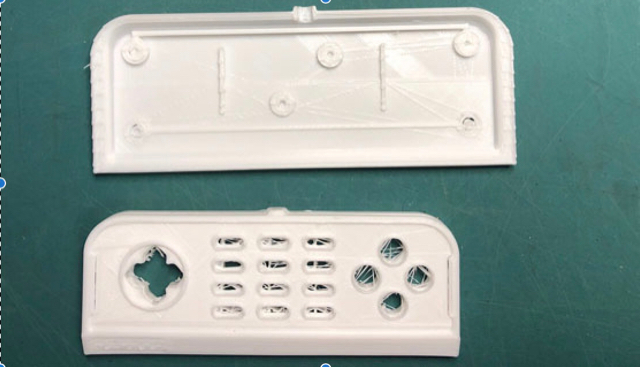 Ted 3D printed a simple last week and we decided to scale the controller up a bit, to be more comfortable in adult hands, especially pixelboy “somewhat large hands”. So yeah, there will be a couple of months where we will be incorporating feedback from testers until it is great. Smaller versus new larger size.